where lots of lovely independent shops are. 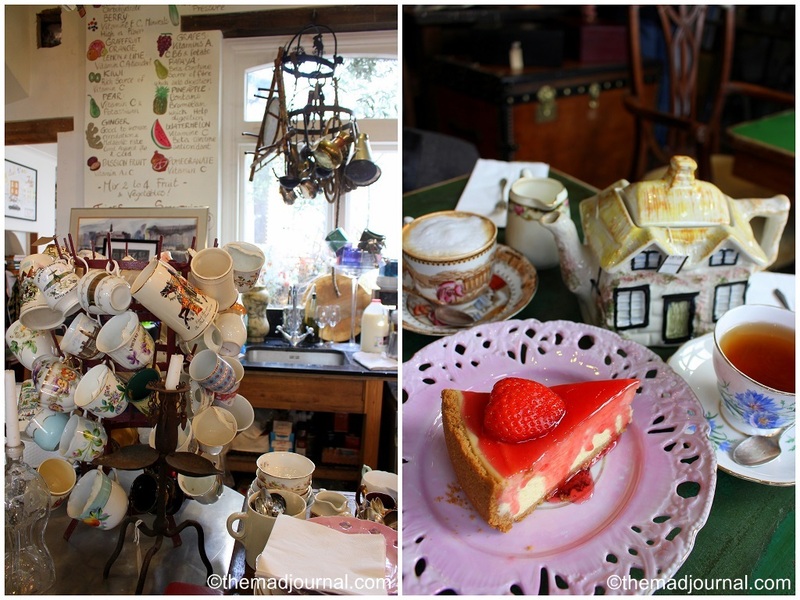 I couldn't try cafes there, but I will show my favourite shops there! 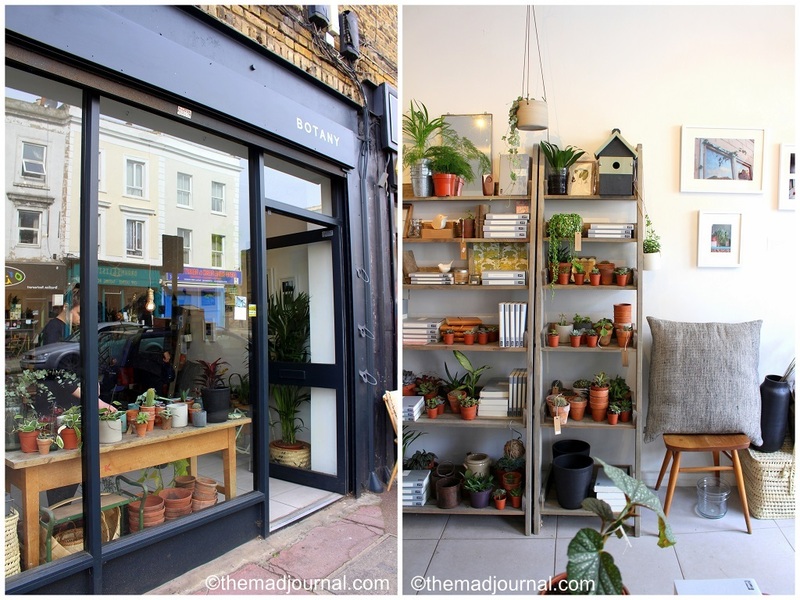 Botany is an interior shops you can find lovely greens! You will find lovely plants and stylish items there. 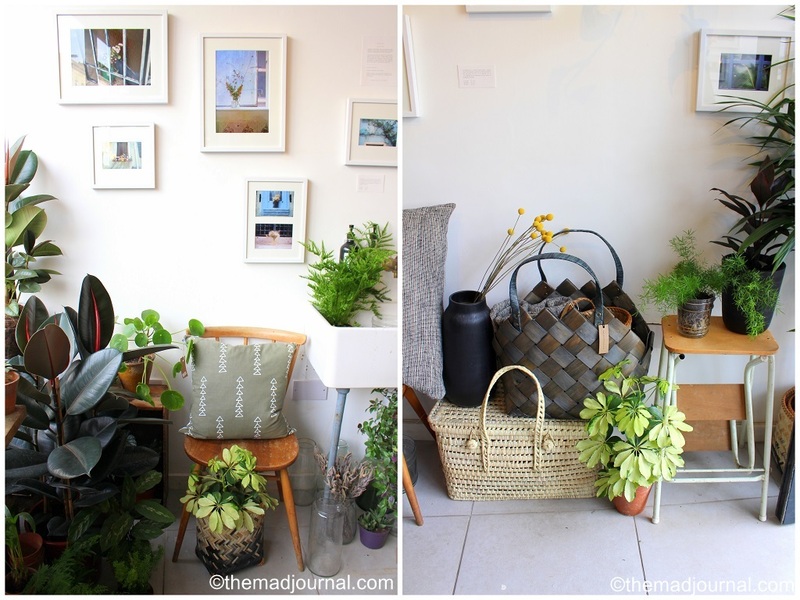 But the shop is so stylish that it made me think I should have some green at home. 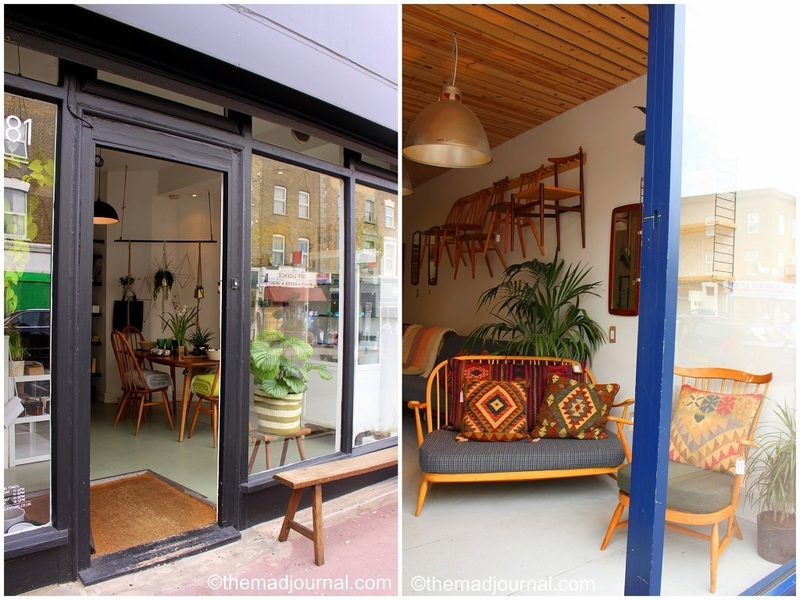 Hop of Hackney is a newly opened shop for stylish homeware and kids items. They have a book of Alice in Wonderland illustrated by Anna Bond, who is my favourite. 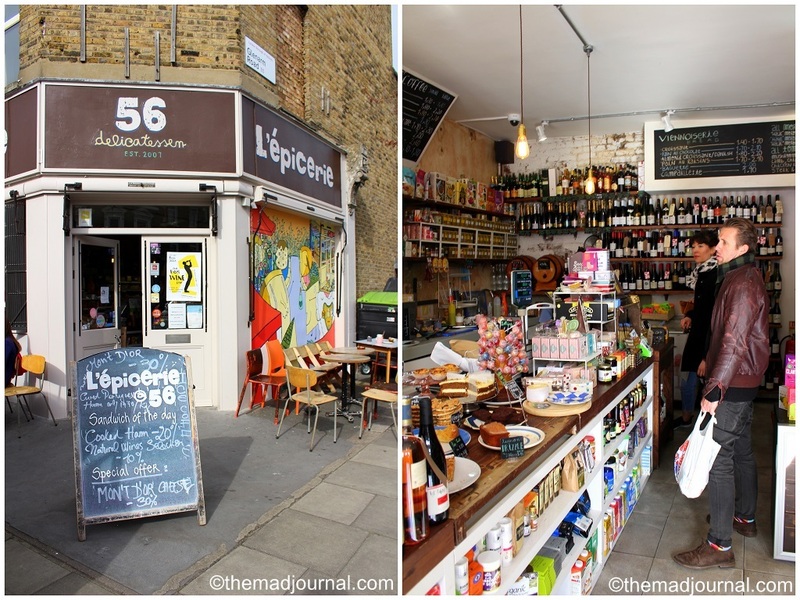 L'epicerie 56 is a deli cafe where you can buy lovely French foods. 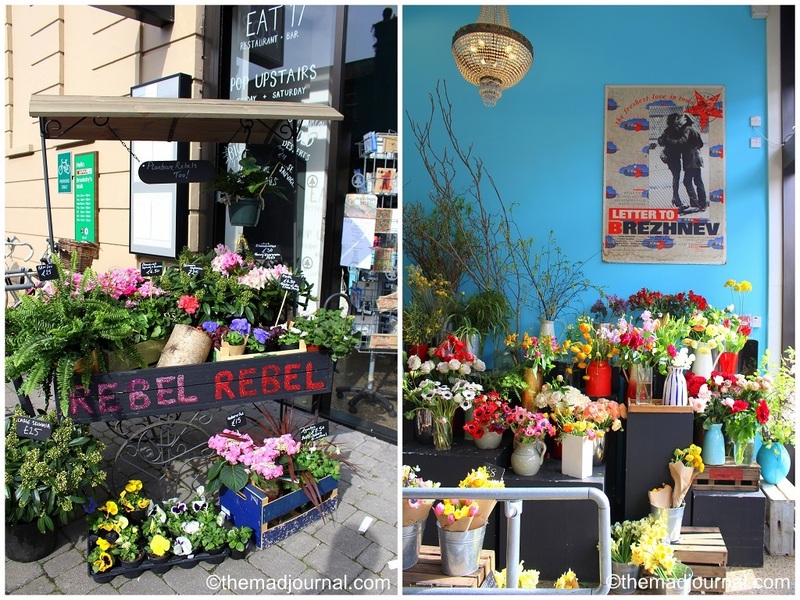 The reason why I came to this road was to come to this flower shop, Rebel Rebel. They have a stall in Broadway Market, but I always wanted to come to their shop. Of course, I bought flowers there! There's a street market every Sunday. I found a lovely cafe near the place of East London Vintage Fair I wrote about last time. Hackney is becoming popular area now, it's totally different from several years ago! Clapton area is rather nice than Hackney Central area, it's actually beautiful residential area. I found a lovely local cafe there. The interior looks like the 60-70s. The cafe was full with local people for Sunday brunch/lunch time! There were cute vintage posters on the wall. I like this kind of illustration. Staffs were very friendly too. but they have a really lovely repertory of cakes! Raspberry creme brulee cheese cake! I had a veal stroganoff. The veal was tender and tasty! Their omelette was full of vegetable with broccoli and asparagus. Healthy and delicious! Of course, we couldn't resist ordering dessert. We didn't have many choices, but we had Orange riccota tart, as they specialize in cheesecake. Ricotta was creamy and orange taste was refreshing. I definitely want to try other cakes! 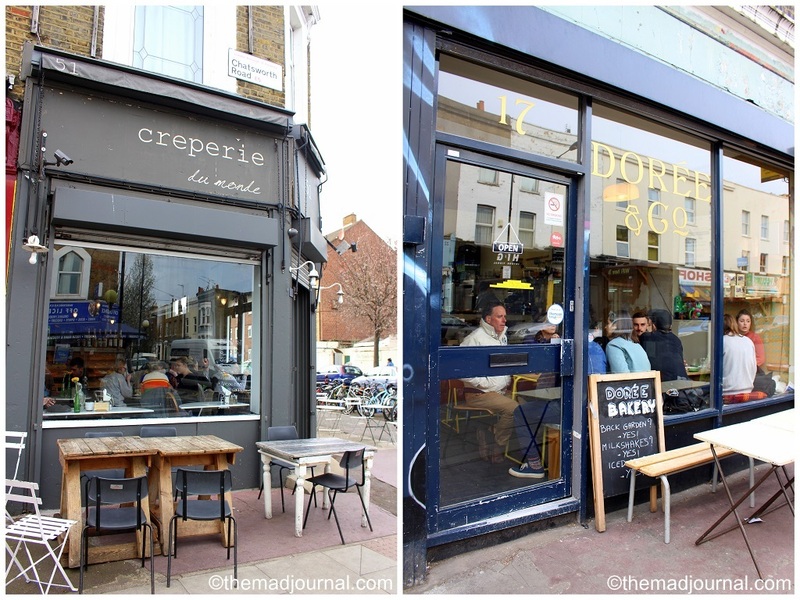 You should try this cafe after East London Vintage Fair! 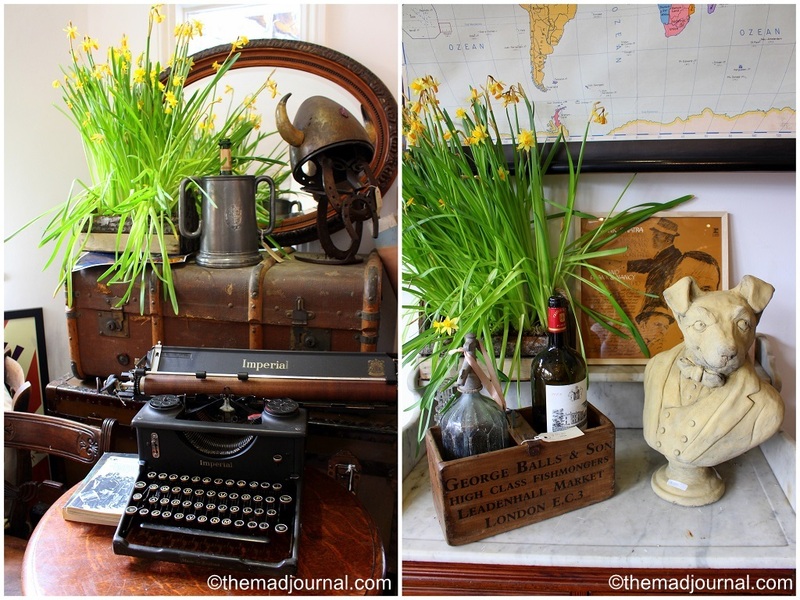 It's from Clerkenwell Vintage Fair in February. She's got a fabulous maxi printed coat, and wore it stylishly with the same red accessories with the print. I can't believe that I have already snapped 100 people. It's just my hobby (wish it was my job!) , sometimes I thought I should quit. But some people said they were looking forward to seeing my fashion snaps, so I kept taking snaps and I really love to see them too. So I will keep doing it. Recently, I heard that East London Vintage Fair is quite good, so I went there! I have been interested in the fair, but it was very far from my home. However, I heard that the fair is very nice and my favourite dealer was coming to the fair, so I decided to go. My favourite dealer was Waiste Vintage. 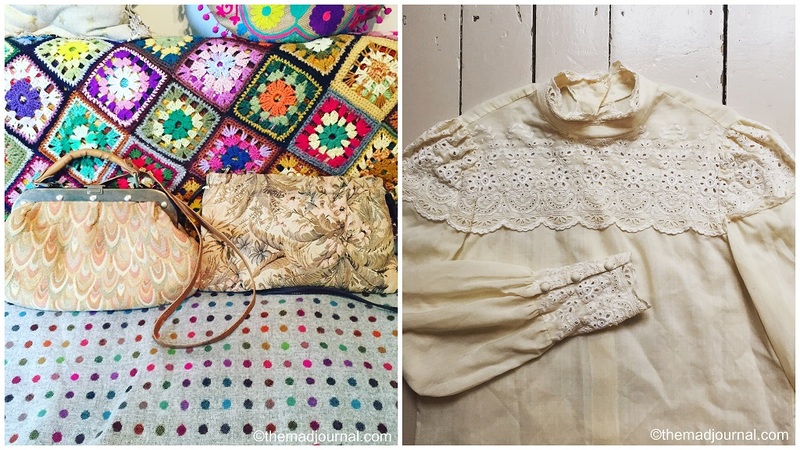 A popular blogger, Sara's vintage shop. Her stall was full of beautiful items of the 60-70s Bohemian style, which you can see in her blog. 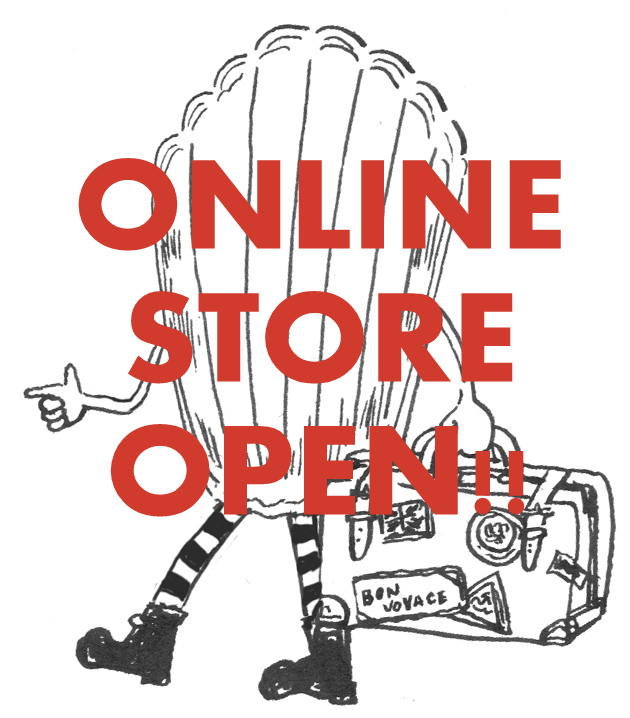 She's got online shop, but it is so popular that new items were often sold out very quickly after she uploaded new stuff every Saturday. I have always wanted to see them in hand. Not only her collection but herself and her friend was also beautiful and stylish!! Other stalls are also have lots of Bohemian style, which is popular in this season. so the fair was full of lovely items for me! This stall Here After had lots of lovely printed shirts. There were jewellery and homeware too. But most of stalls had clothes. Killim is in fashion now. This stall was selling original items with vintage killim. Kilim bag is one of the items I am interested. Those are what I got! Both bags' straps are removable. Specially the right one can be a clutch bag if I remove the strap. I have wanted a clutch bag, so I was very happy when I found it! I fell in love with this shirt, which I wanted too. I would wear with denim. I would love to join the market to sell, next time! His maxi long knit cardigan was eye catching. 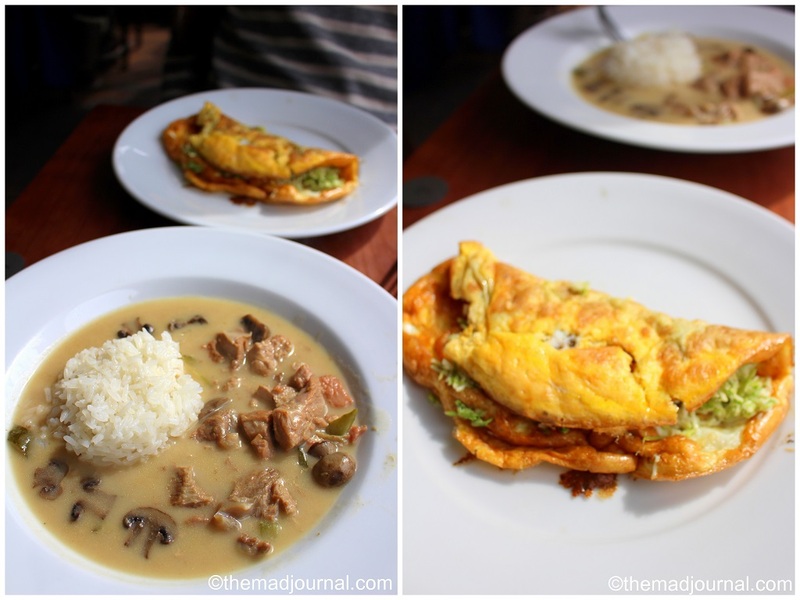 When we walked around Chelsea, we were heading to Cafe Zefi as we loved it so much. We couldn't try their sweets last time, so we wanted to have teatime there. Just before we reached Cafe Zefi, we found another nice cafe. It looked like an antique shop, there were so many junks! Hang on, this would be the same company's branch as Cafe Zefi, as I checked their website when we wrote about the cafe. Anyway, I couldn't ignore this lovely antique shop! The shop was totally full of interesting treasure! It looked like a junk shop in down town, it was unlikely to be in Chelsea. Junk was everywhere, from the floor to the ceiling. I could see the stylish sense. The shop's main was antiques, so there were not many tables. But I love this comfy sofas. Candle stands, antique glasses, anything on the tables were available to buy. There were another comfy space in the back of the shop. There were not so many tables, but a lot of tea cups and pots! The main was antiques, so they don't have many eating menu, but we loved the cafe so much that we decided to have teatime there. They only have one kind of cake, strawberry cheesecake. But we could chill out with the comfy sofa and the tea served with a cute teapot. The staff was so friendly too, they said they collect things from all over the world. They have another branch called Jak's Bar in the same street, which was also decorated with full of lovely antiques. I would love to try that bar too!